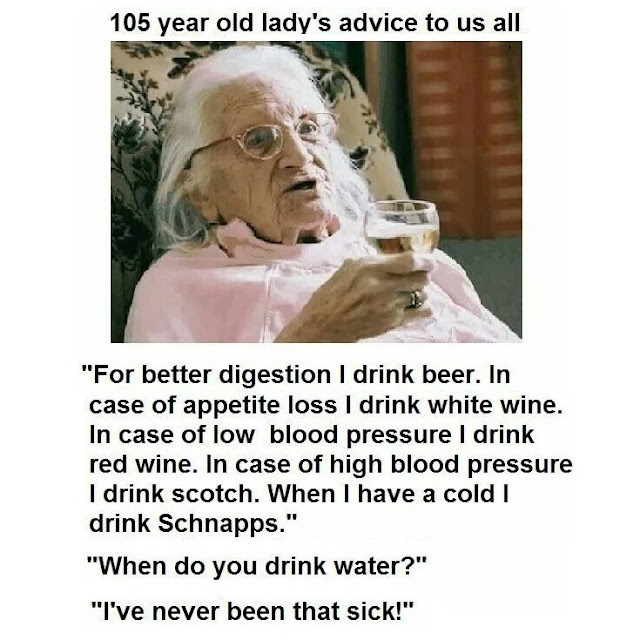 105 year old lady's advice to us all. “For better digestion – I drink beer. In the case of appetite loss, I drink white wine. In the case of low blood pressure, I drink red wine. In the case of high blood pressure, I drink scotch.